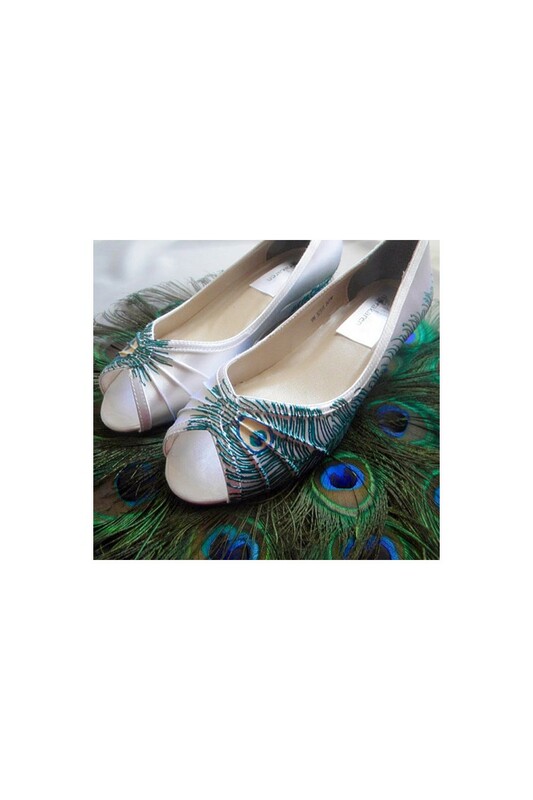 Unique Vintage style bridal shoes in Cream, Model "Leah"
These unique vintage style bridal shoes in cream are just what you've been looking for to go with your summer wardrobe. 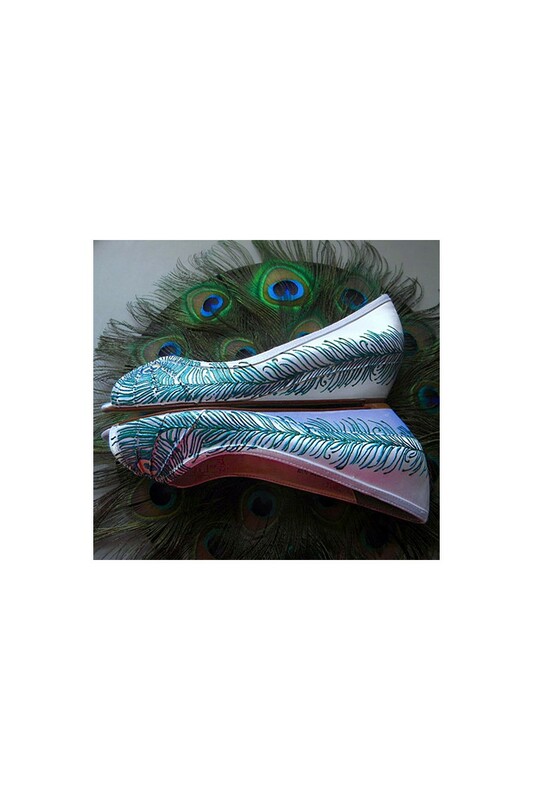 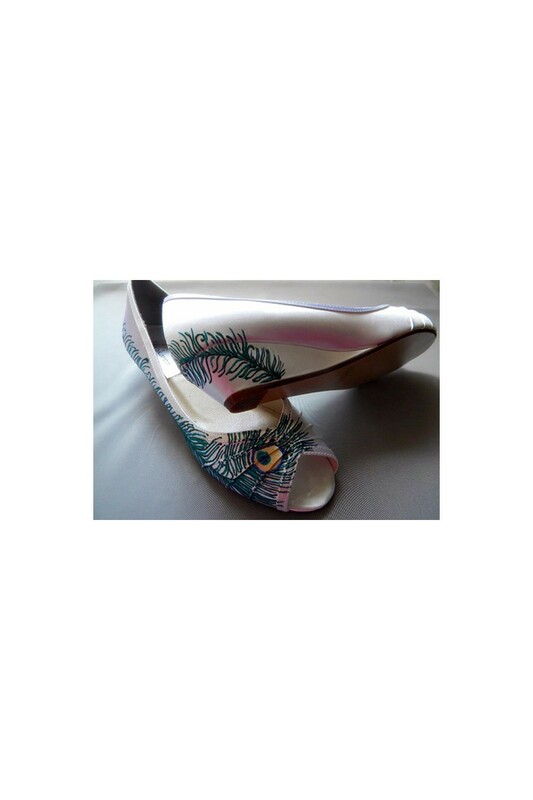 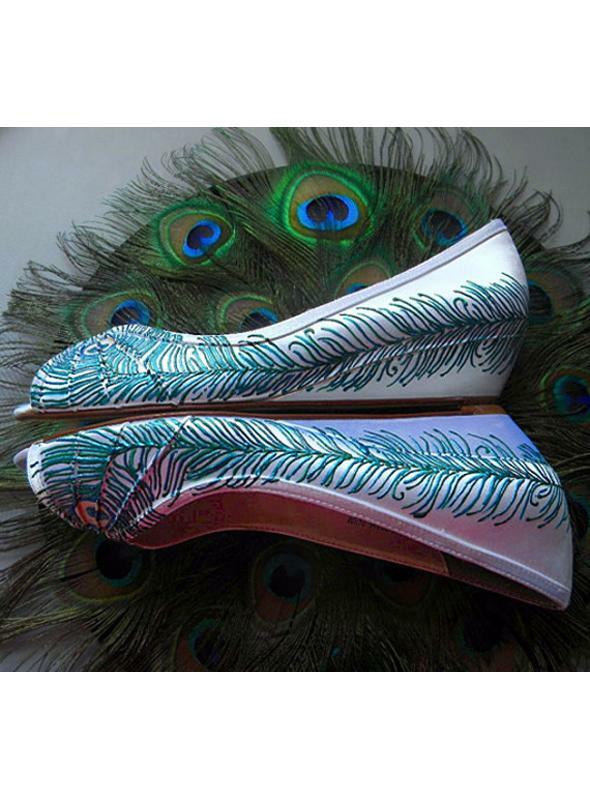 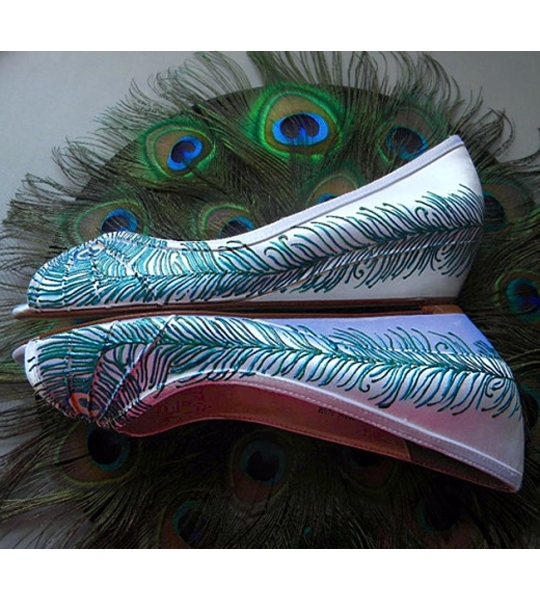 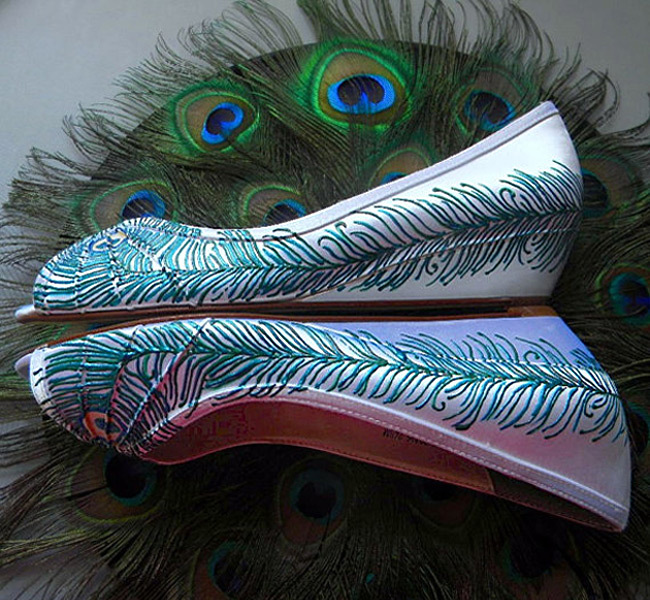 A creamy white background with a wedge heel and an open toe set off the all-around peacock feather design beautifully. 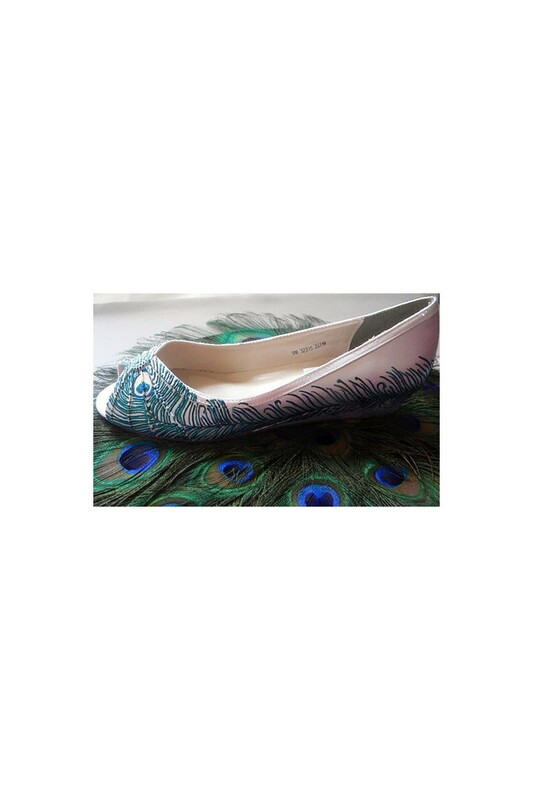 You'll want to wear these with all of your summer dresses.